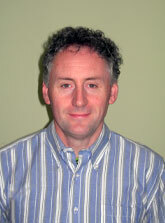 John trained as a Counselling Psychologist at UCD and TCD. He qualified in 1995. He is a registered psychologist with the Psychological Society of Ireland and has 15 years experience working in the area of counselling and psychotherapy. He has worked as a Counselling Psychologist in both the private and public sector. He now works in private practice. As well as seeing clients in the Albany Clinic John also sees clients in Tallaght and Clontarf. John works with adolescents and adults. During his career as a Counselling Psychologist he has worked with a wide range of client groups and issues. Megan Gaffney, BA Psych., MSc Couns. Psych. 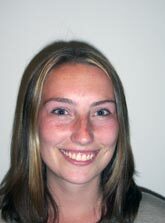 Megan is a Counselling Psychologist with a background in mental health and employment services. She studied psychology at Boston University and Counselling Psychology at Trinity College Dublin. Using an integrative approach, Megan has worked therapeutically both short and long term with adults and adolescents with a wide range of difficulties including: anxiety, depression, panic attacks, mental health issues, and relationship difficulties. Megan also works with the Asperger Syndrome Association of Ireland (Aspire) and Dublin City University. Megan is part of a consultancy team which provides personal and professional development training and has specialised in the area of stress management.